This course is for those who know how to read the Arabic (or better, the Qur'aan) with vowels thus I don't believe that it is necessary at least in the beginning to need a MIC or a traiditonal classroom setting. 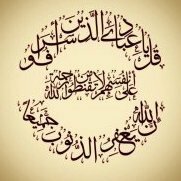 Highlight the whole Ayah and select "Align Right"
ٱللَّهُ لَآ إِلَـٰهَ إِلَّا هُوَ ٱلۡحَىُّ ٱلۡقَيُّومُ‌ۚ لَا تَأۡخُذُهُ ۥ سِنَةٌ۬ وَلَا نَوۡمٌ۬‌ۚ لَّهُ ۥ مَا فِى ٱلسَّمَـٰوَٲتِ وَمَا فِى ٱلۡأَرۡضِ‌ۗ مَن ذَا ٱلَّذِى يَشۡفَعُ عِندَهُ ۥۤ إِلَّا بِإِذۡنِهِۦ‌ۚ يَعۡلَمُ مَا بَيۡنَ أَيۡدِيهِمۡ وَمَا خَلۡفَهُمۡ‌ۖ وَلَا يُحِيطُونَ بِشَىۡءٍ۬ مِّنۡ عِلۡمِهِۦۤ إِلَّا بِمَا شَآءَ‌ۚ وَسِعَ كُرۡسِيُّهُ ٱلسَّمَـٰوَٲتِ وَٱلۡأَرۡضَ‌ۖ وَلَا يَـُٔودُهُ ۥ حِفۡظُهُمَا‌ۚ وَهُوَ ٱلۡعَلِىُّ ٱلۡعَظِيمُ This is wrong because the alignement is to the left (default) instead of to the right. Please type this using your Arabic Keyboard and then copy/paste it like I have in the same colours and the same way. I never used Arabic keyboard :( find it hard to follow now . O Allah , increase me in patience and knowledge , Ameen. Jazakullah Khairun for fixing the problem and please make dua and keep trying because its critical that you use the Arabic keyboard for the course. how to learn Arabic typing ? Any formula / tutorial guide ? Try it and please come back with issues which you encounter. In sha Allah , will go slow and steady . Where, can you copy it please? Masha'Allah. Please attempt the rest of the homework when you are ready. I am waiitng for everyone to confirm that they have also read the beginner lesson before moving on. (15) Which is it, of the favours of your Lord, that ye deny? I have delayed moving forward on purpose but what should I do? give some easy lessons , pl. I hope , the thread is not closed. Are people interested and want to do their homework? if homework is easy , In'sha Allah i will do .